Arduino Nano v3, Based on the CH340 USB to Serial Driver. - HTF Electronics, We Help Create Your Imagination! 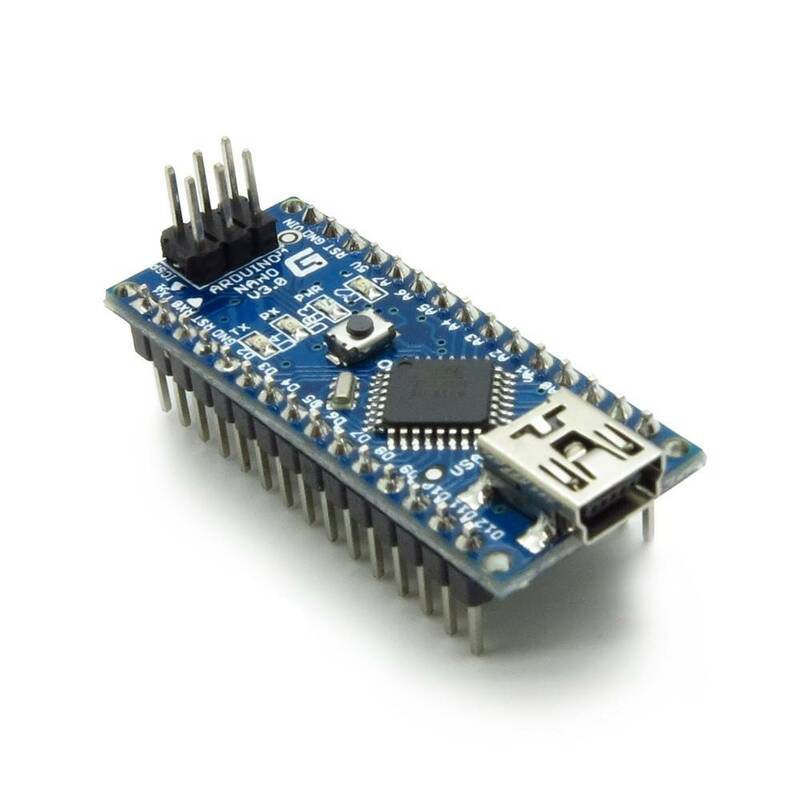 The Arduino Nano is a small, complete, and breadboard-friendly board based on the ATmega328 (Arduino Nano 3.x) or ATmega168 (Arduino Nano 2.x). It has more or less the same functionality of the Arduino Duemilanove, but in a different package. It lacks only a DC power jack, and works with a Mini-B USB cable instead of a standard one. This nano is based on the CH430 USB to Serial controller, you need to instal the driver software before you can use this Nano. 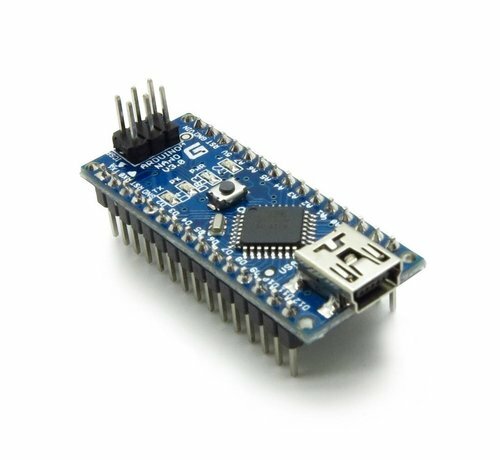 The Arduino Nano v3 is usable directly into you project by simply placing it in a IC Socket, in your circuits you are still able to upload, tweak or adjust your sketch by either using the USB Connection or the RXD and TXD ports on the Nano. The Shields that are avalible for the Arduino boards cannot be direcly hooked up to the Nano v3 you need to build your own Heardboard or connect a shield using module wires. However because the Nano v3 is very small, it will mean you prject can be scaled down as well, making the use and need of adding a shield unneccecairy, Displays like the 2 x 16 Char are easy to hook up directly to your nano. The Arduino Nano v3 is delevered WITHOUT a USB Cable, if you require one just ask.